Diamond Stores are places you want to go to buy the desirable diamonds at the prices suitable to your taste. There are many jewelers to choose from and all of them have the best prices and the merchandise. Some jewelry merchants have been in the business for more than 30 years and these are the jewelers I will focus on to give you an idea of when they got started, locations and other facts about them. The history of the Diamond Stores dates back to 1930s, Hayes Jewelers is one such store, which started in 1939. Hayes started out as a small family jewelry shop by Delmar Hayes. It has grown since then into one of the top Diamond Stores in the East Coast. Hayes has been owned and operated by the same family since it began. They have a long history of great service and satisfaction with every customer. The store is referred to as a Diamond Superstore and is centrally located to most of North Carolina's larger cities and towns. Zales Jewelers is another jewelry store founded on March 29, 1924 by Morris and William Zale in Wichita Falls, Texas. The brothers had a vision to provide customers with quality merchandise at the lowest price. In the 1970s, the devaluation of the American dollar abroad drastically increased the prices of rough diamonds and bulk gold in the markets throughout the world. In spite of these increased prices, Zales Jewelers held their price line on their diamonds and jewelry. New trends in jewelry wear, where you could wear the diamonds and gold together started in the late 1970s. Today Zales continues to be the leader in fine jewelry retailing. Diamond Hut Jewelers has been the most trusted name in the jewelry business for over 33 years. It is located in the Jersey City region. As a well-established jewelry store, they have grown with their community from a small store to a multiple brand jewelry retailer. Their specialty is making customers "feel at home" with personalized service and their classic cutting edge designed jewelry. Diamond Hut has served families with their unique brand of service and as a trusted jeweler for generations. They sell brillant diamonds, fine jewelry, elegant watches, treasured gifts, custom made styles of jewelry and have expert jewelry repairs. 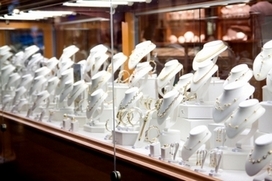 CR Jewelers is another diamond store that's been in operation for over 30 years. It is a diamond jewelers importer and a very well-established jewelry store. Like Diamond Hut Jewelers, CR also started out as a small family store and grew into a multiple brand jewelry retailer and has the same "feel at home" personalized service. They are committed to every customer and is the trusted name jeweler that's been serving families for generations. Their years of experience has built a trust and a legacy of integrity with customers from their services. They are located in the Sunrise region and sell fine jewelry, brilliant diamonds, beautiful elegant watches, treasured gifts, custom made styles and have expert jewelry repairs. 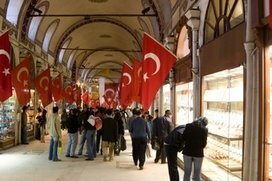 Boutiques are small shops or small specialty departments within a larger store. It is easy to find excellent jewelry displays in these shops. The best thing about boutiques is, you can consign jewelry to them to sell for you. 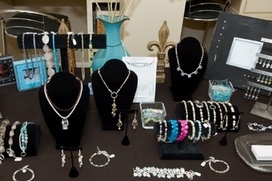 You can even see Jewelry Boutiques sell their products on television on a couple of cable channels. Cable T.V. is another place where you can shop for diamonds and jewelry without having to leave your home. All you have to do is turn on the television to the Jewelry T.V. channel and you're shopping for diamonds in your own living room. The Jewelry Television channel has great deals, gifts, jewelry collections, and jewelry-making ideas. This T.V. show features: The Vault, Bella Lace, Tanzanite Collection, Bridal Store, Jewel School, Trade Show Treasures, Collectibles and Auctions for the different diamonds and jewelry sold on the show. This television show offers their own JTV Preferred account credit card with no annual fees, the JTV Gold Exchange, if you're interested in buying gold and platinum and they also have an Email Newletter online for you to sign-up if you want more information about them. These are few of many diamond stores selling brilliant diamonds, elegant watches, fine jewelry, that have been in business for more than 30 years. Other stores are either called exchanges, depots, fashionable, or online merchants. These diamond stores are located throughout the United States and in some other countries. Many are popular with trusted names, great customer services (that make their customers feel at home) and their brilliant diamonds, fine jewelry, other merchandise and expert jewelry repairs are reasonably priced. Lastly, there are the boutiques and television channels that sell fine jewelry, brilliant diamonds and other popular merchandise. There are just so many different places you can buy diamonds and fine jewelry today, even from the comfort of your own living room.